19 Aug 2016 - FAA issues Special Conditions for 737MAX Non-Rechargeable Lithium Battery Installations. The FAA has taken the unusual step of issuing a special conditions notice because of concerns about the introduction of Lithium batteries on the 737MAX which were not on the 737NG. 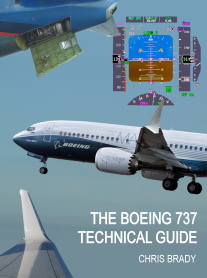 But the 737MAX and the 737NG are on the same type certificate hence the SC. The concern about Lithium batteries follows from three incidents on the 787 in 2013 including the Ethiopian 787 fire on the ground at LHR. SUMMARY: These special conditions are issued for the Boeing Company (Boeing) Model 737-8 airplane. This airplane will have a novel or unusual design feature when compared to the state of technology envisioned in the airworthiness standards for transport-category airplanes. This design feature is associated with non-rechargeable lithium battery installations. The applicable airworthiness regulations do not contain adequate or appropriate safety standards for this design feature. These special conditions contain the additional safety standards that the Administrator considers necessary to establish a level of safety equivalent to that established by the existing airworthiness standards. Maintain safe cell temperatures and pressures under all foreseeable operating conditions to prevent fire and explosion. Prevent the occurrence of self-sustaining, uncontrollable increases in temperature or pressure. Not emit explosive or toxic gases, either in normal operation or as a result of its failure, that may accumulate in hazardous quantities within the airplane. Meet the requirements of § 25.863. Not damage surrounding structure or adjacent systems, equipment, or electrical wiring from corrosive fluids or gases that may escape in such a way as to cause a major or moresevere failure condition. Have provisions to prevent any hazardous effect on airplane structure or systems caused by the maximum amount of heat it can generate due to any failure of it or its individual cells. Have a failure sensing and warning system to alert the flightcrew if its failure affects safe operation of the airplane. Have a means for the flightcrew or maintenance personnel to determine the battery charge state if the battery’s function is required for safe operation of the airplane. Note: A battery system consists of the battery and any protective, monitoring, and alerting circuitry or hardware inside or outside of the battery. It also includes vents (where necessary) and packaging. For the purpose of these special conditions, a “battery” and “battery system” are referred to as a battery. Special condition 1 requires that each individual cell within a non-rechargeable lithium battery be designed to maintain safe temperatures and pressures. Special condition 2 addresses these same issues but for the entire battery. Special condition 2 requires that the battery be designed to prevent propagation of a thermal event, such as self-sustained, uncontrolled increases in temperature or pressure from one cell to adjacent cells. Special conditions 1 and 2 are intended to ensure that the non-rechargeable lithium battery and its cells are designed to eliminate the potential for uncontrolled failures. However, a certain number of failures will occur due to various factors beyond the control of the designer. Therefore, other special conditions are intended to protect the airplane and its occupants if failure occurs. Special conditions 3, 7, and 8 are self-explanatory, and the FAA does not provide further explanation for them at this time. Special condition 4 makes it clear that the flammable-fluid fire-protection requirements of § 25.863 apply to non-rechargeable lithium battery installations. Section 25.863 is applicable to areas of the airplane that could be exposed to flammable fluid leakage from airplane systems. 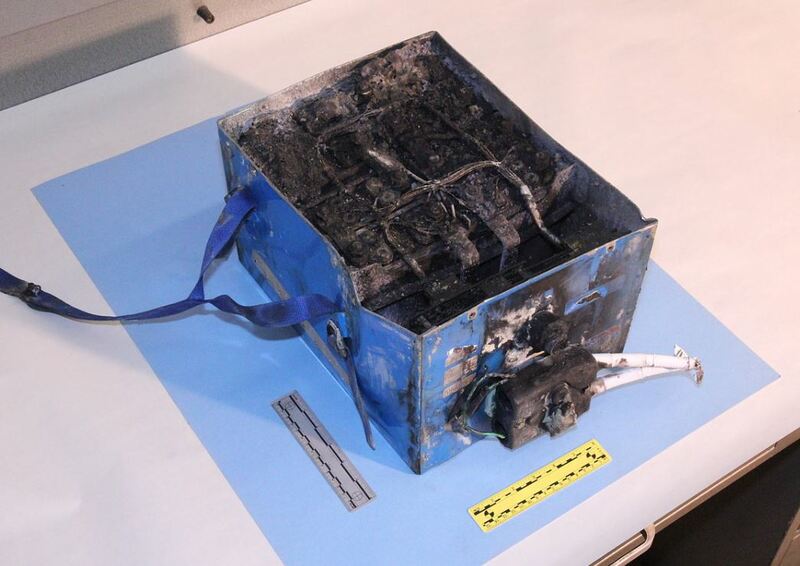 Non-rechargeable lithium batteries contain electrolyte that is a flammable fluid. Special condition 5 requires each non-rechargeable lithium battery installation to not damage surrounding structure or adjacent systems, equipment, or electrical wiring from corrosive fluids or gases that may escape. Special condition 6 requires each non-rechargeable lithium battery installation to have provisions to prevent any hazardous effect on airplane structure or systems caused by the maximum amount of heat it can generate due to any failure of it or its individual cells. The means of meeting these special conditions may be the same, but they are independent requirements addressing different hazards. Special condition 5 addresses corrosive fluids and gases, whereas special condition 6 addresses heat.